FramedArt.com takes pride in the quality of all our framed art products, including the great options available for framed photography. 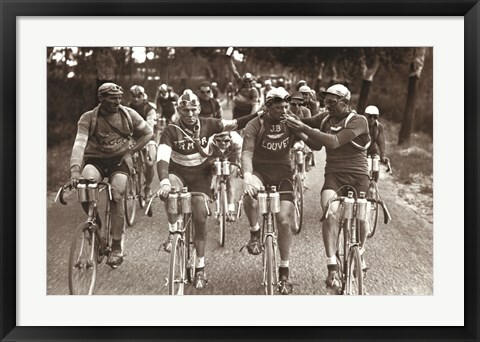 With over 60 frames and a wide selection of mats to choose from, framing in the perfect finishing touch for this Smokers - An Intimate Portrait of The Tour de France photograph. Framed photos make a great addition to offices, kitchens and bedrooms. Whether you want something traditional or more contemporary, framed photographic prints are a great wall decor solution.